2. Which books did you enjoy most as a child? Any current favorites? Anne Rockwell: People tell me that I was born knowing how to read. I doubt that, although I have no memory of a life without books. My mother occasionally reviewed books for the local paper, and I assume got review copies of the latest picture books. 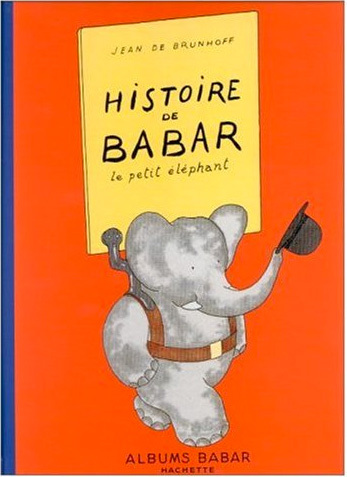 I particularly remember my joy and amazement when I opened the first oversized BABAR book (in French). It was as though the sun broke out! And there was a difficult time during my childhood when Hans Christian Andersen’s THE SNOW QUEEN let me, a shy and lonely child, live vicariously through Little Gerda on her faraway quest for Little Kay, and how to learn to be strong and brave in the process. Originally published in 1938, back in print thanks to the New York Review of Books. The Scottish setting is charming and the central message, to be who you are, is important. But as soon as I mention one title, another jumps into my head. 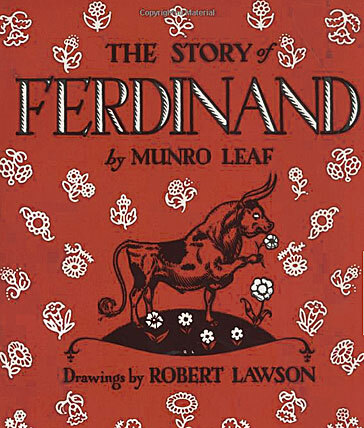 When I heard of the problems our mutual friend Chris Demarest, was having with the wearing of kilts, I remembered how I had loved WEE GILLIS by Munro Leaf and Robert Lawson, who also gave us the immortal FERDINAND THE BULL. 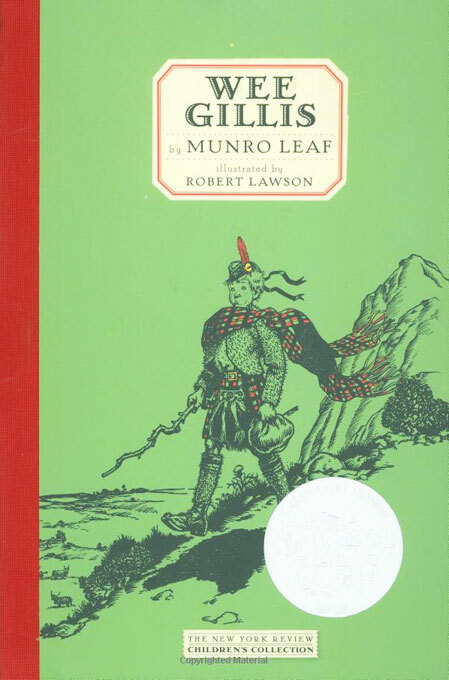 But my maternal grandfather had been born in Scotland, and his name was Willis, so I was sure Wee Gillis was his story and told Chris so. Anyway, Chris, bless his heart, ran right out and found a copy, which proves to me that good books for children live on forever, even when they go out of print! Published more than 50 years ago, this simple story of peace and contentment has withstood the test of many generations. This cow is no coward--he simply has his pacifist priorities clear. 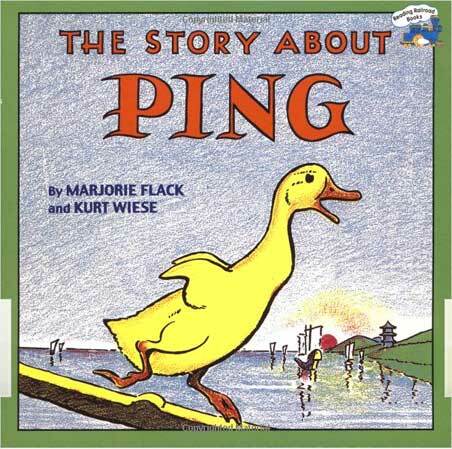 Joy Chu: We share another favorite classic: THE STORY ABOUT PING by Marjorie Flack and Kurt Wiese. My father used to read it aloud to my son, enunciating the Chinese words slowly. They never tired of it, for years. I have fond memories of that. 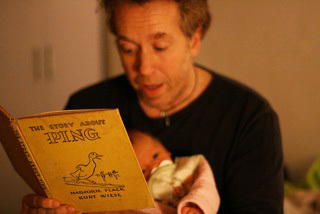 Anne Rockwell: And here’s my son Oliver Rockwell, reading THE STORY OF PING to his son Sullivan — in China! This photo was taken by Oliver’s wife, Keiko Wong. I used to have to call “la-la-la-lei,” like the master of the ducks as I turned out Olly’s light at night. Now, I say it to Sullivan on the iPhone and hope it doesn’t mean something it shouldn’t in Chinese! JC: Ha! That’s “Let’s go, let’s go!” in Chinese. Following a fine family tradition: Anne's photographer son, Oliver Rockwell, reading PING aloud to his son, Sullivan Wong Rockwell. JC: Oh…are there any pix of you working with your other grandchildren on artwork? 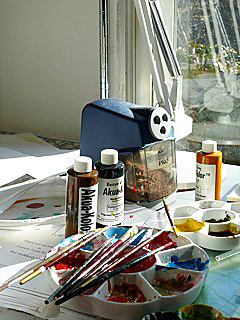 AR: Here are 2 more pix–one of my old studio (above) with the monoprint inks I used for MY PRESCHOOL and HERE COMES THE NIGHT (both Holt) and which Julianna (grand-daughter) also helped me with, becoming a master printer in the process. And here’s the petit-point doll I made for her (below) when she was born. It has obviously been guarded well, and is no doubt a factor in her becoming someone who will be one of the B.I.G. illustrators soon! Petit-point doll, made by Anne for grand-daughter Julianna.